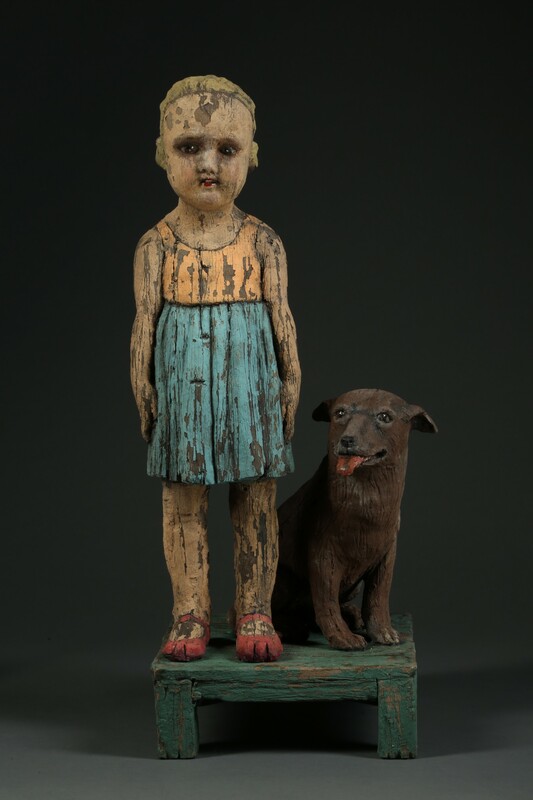 Margaret Keelan Parakeet Tales, 2014 ceramic, 33" x 9" x 6"
Margaret Keelan Pose with Dog, 2014 ceramic, 23" x 10" x 8"
Margaret Keelan Pose with Dog (detail), 2014 ceramic, 23" x 10" x 8"
Margaret Keelan Girl with Tea Cup, 2010 ceramic, glaze, 20" x 7" x 7"
Margaret Keelan received her BFA at the University of Saskatchewan, Canada and her MFA at the University of Utah. 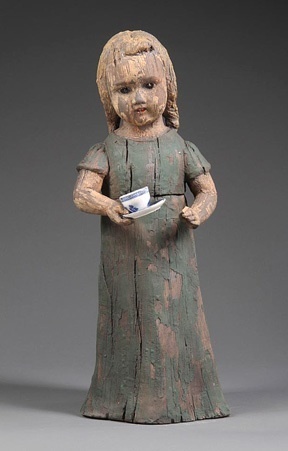 In 2003 she juried the California Clay Competition at the Artery in Davis, CA, and was invited to lecture on her latest work at the 2005 National Council on Education for the Ceramic Arts in Baltimore, 2007 CCACA, Davis California and at 2007 SOFA, New York. 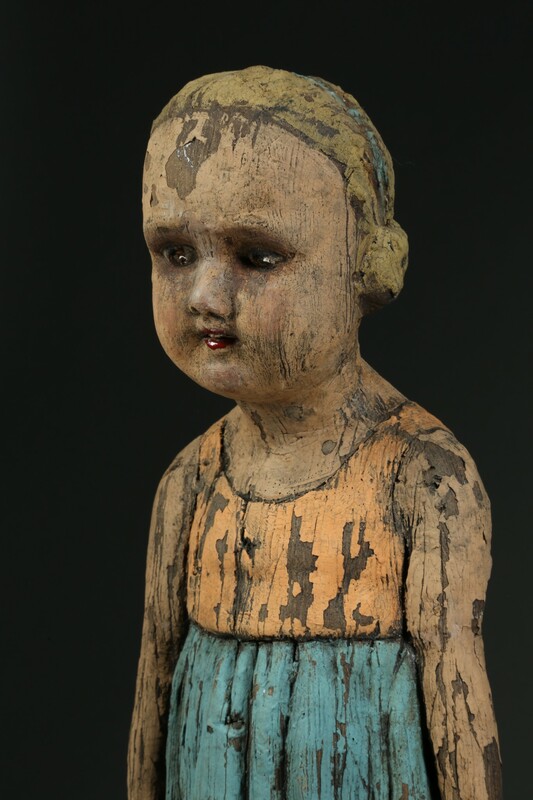 Her sculpture won a purchase award at the 2009 NCECA Biennial and has been exhibited in venues in Chicago, New York, Santa Fe, Montana, Pomona, and Sun Valley, Idaho. Recent solo shows have been in St. Louis, MO and Seattle, WA. 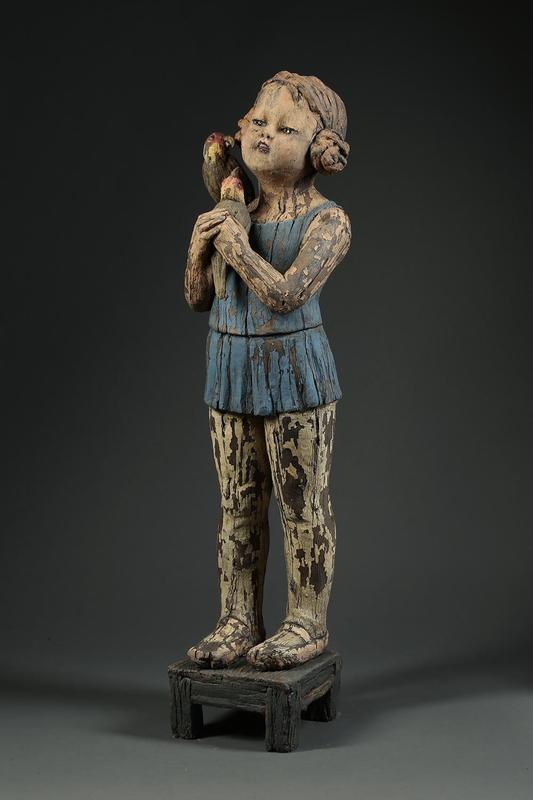 Her work can also be seen in “500 Figures in Clay: Ceramic Artists Celebrate the Human Form”, “The Craft and Art of Clay, “Ceramics: Art and Perception.” “Confrontational Ceramics”, and “Ceramics Review” in England. Margaret is currently Associate Director and ceramics instructor at the Academy of Art University in San Francisco.